iPad Air is the much awaited tablet from the famous Apple. This iPad is more famed for being the foremost lightest full sized and fully featured tablet ever made. Although the iPad is not yet released the users can get a clear idea about how it will be based on the following specifications and characteristics. The display size of the iPad Air is only 9.7 inches. The resolution is 2048 X 1536 with 264 ppi respectively. The display spec makes it sure that the iPAd Air will be full sized tablet like any other iPad or similar tablets. The resolution is highly improved and sophisticated. The overall size of the iPad Air is 6.6 X 9.4 X 0.29 inches and a weight of 1lb for Wi-Fi and 1.05 lb for LTE. Definitely as the name suggests iPad Air is the lightest tablet ever. This is the major characteristic that everyone is looking forward for. The iPad Air (Wi-Fi and LTE) are the most less weighing tablet in the history of smart devices. iPad Air on iOS 7 – The latest (yet to be released) version of the Apple company. Although we don’t have a clear idea yet about the iOS7 since it is naïve to us and it is not yet released, we may be sure that iPad Air gets a little more advantage than other light tablets since iOS is most popular and sought after OS. This is because of the fact that there is room for effortless developing tools and wide app support. The battery standby time for iPad Air is 10 hours. However, the time may vary based on usage and apps installed or available, etc. The iPad Air has 4 variations namely 16, 32, 64 and 128 GB. Having options is always optimistic and advantageous as users can pick more conveniently according to their choices. RAM of iPad Air is yet to be announced. 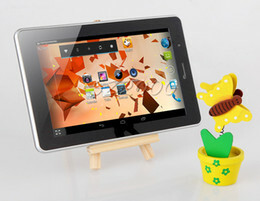 The users expect a minimum of 2GB RAM and 2GB RAM for a tablet is worth the buy and it is quite advantageous. The rear camera is 5MP and the video support is 1080 p for iPad Air. The front camera is 1.2 MP and 720 p video-support. The camera is highly improved. Although many tablets come with 6+ MP camera for iPad this is an great improvement and spec. The processor in Lumia iPad Air is A7 with 64-bit architecture and M7 motion processor. The iPad Air has more innovative and new processor while many of the tablets still come with Snapdragon chipset which is very old but trustworthy one. The rates for Wi-Fi version of iPad Air is as follows $499, $599, $699, $799 respectively for 16GB-128GB and for the LTE version the rates are $629, $729, $829, $929. Touch ID fingerprint is not accessible in this device. However, we can still manage with the bliss of reduced size and weight. Although Touch ID is trending we can’t expect it in the iPad Air since having more complicated changes might increase the weight of the lightest tablet. iPad Air is definitely an improved version and it has many features that is making it worthy to buy. Although there are few drawbacks like no touch ID, less MP of camera still overall iPad Air is one of the best upcoming tablets. Maria Lynette is not a well known name. But, the person holding the name wants to be. She writes article on various topics related to mobile aspects especially on Mobile Application Development Companies in California. Follow her on Twitter, Google+, Facebook, Linked In, Stumble upon and Pinterest. Awesome review mate, Actually i was looking buy an iphone soon but as i heard of ipad air I just waited for it from a month i guess. The review really helped me a lot to know more about the specs.